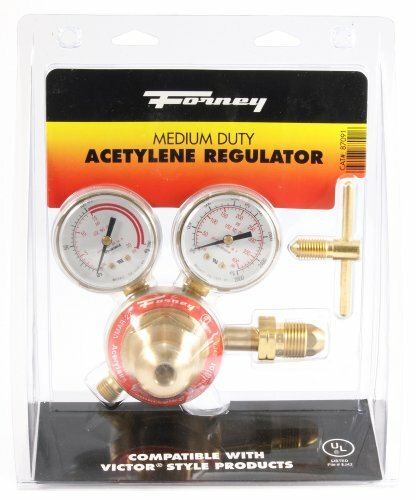 The Forney 87091 Medium Duty Acetylene Regulator is a versatile Victor style acetylene regulator for medium duty applications. 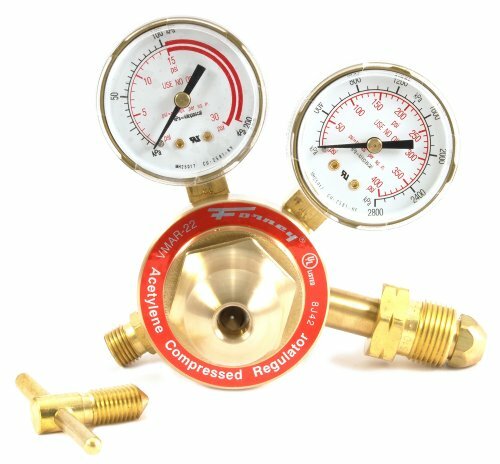 It has a forged brass body and bonnet for maximum strength with a sintered (heat-treated) metal inlet filter to trap impurities. The joints are pressed, not soldered, for easy maintenance. 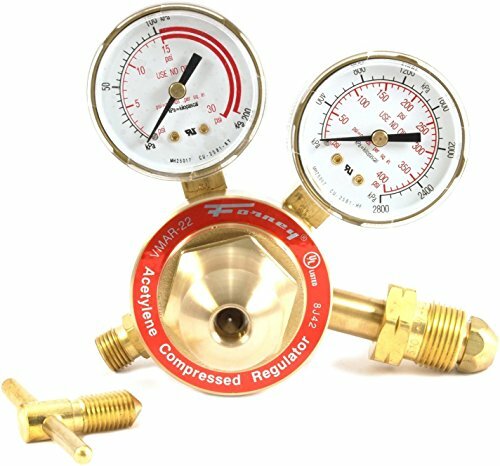 It has easy to read dual scale gauges with nearly unbreakable screw-on lenses. This regulator is a replacement used in Forney 01705, "Shop Flame II" and 01707 "Deluxe" Oxy-Acetylene Welding Kits and will work with similar Victor style torch sets. Forney Industries is one of America's longest operating family-owned metal working product companies. Founded in 1932, Forney offers more than 5,000 products for the hardware, automotive, farm and ranch and do-it-yourself markets. If you've got metal working questions, we've got answers. We're committed to your success regardless of location size or needs. This regulator uses a CGA510 fitting. Claims for warranty must be made within 90 days of the date of purchase. Proof of purchase required. This warranty does not cover any product that has been subject to misuse, neglect, negligence or accident, or that has been used in any way contrary to the purpose intended.